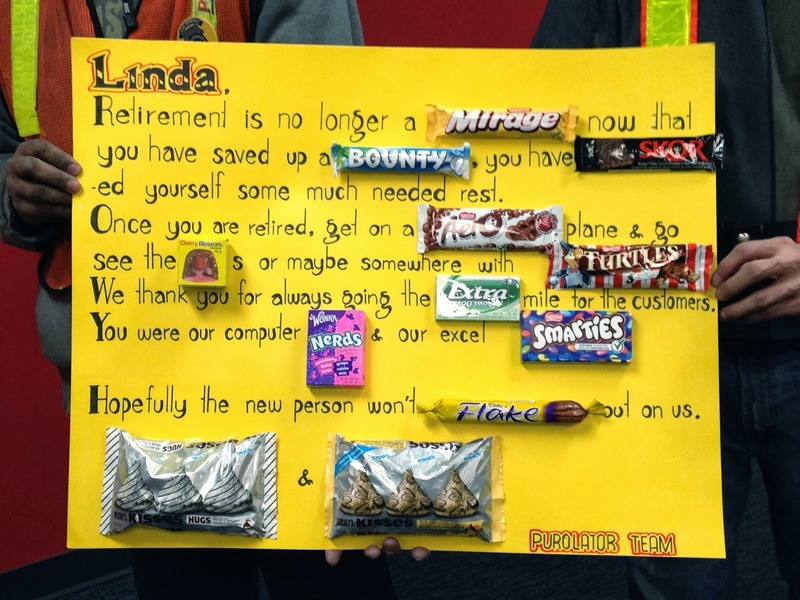 Retirement is no longer a "Mirage" now that you have saved up a "Bounty", you have "Skor"-ed yourself some much needed rest. Once you are retired, get on a "Aero"plane & go see the "Cherry Blossom"s or maybe somewhere with "Turtles". We thank you for always going the "Extra" mile for the customers. You were our computer "Nerds" & our excel "Smarties". Hopefully the new person won't "Flake" out on us. The question I was asked by everyone when they found out I was retiring was "What will you do with yourself all day long"? I told them I was going to spend my days embroidering, quilting, sewing, working on EAC Youth projects and spending time with my husband. It has only been two weeks and I have been doing all of those things. So what exactly have I been working on? First off, we discovered that we needed a couple more gifts for the holiday season. What to do? Obvious answer, make something. So for the first gift, I cut out fabric for a couple of placemats with tulips. They are almost finished, I just have to add the batting, backing and sew the binding on. Because we're late giving them the gift, a spring theme is perfect. For the second gift, I will make a table runner using fabrics I purchased last spring. I wanted to enter something in the EAC Beaded Jewellery Design Contest, so I have been looking at pictures and deciding what to design. I found something that will work and I am drawing up the charts, etc. and will start beading the piece in a couple of weeks. I am also going to put in some ATC's for the Exchange and will be starting them next week. I had also been thinking about entering a piece in the Member's Exhibit for the Viewer's Choice Award. I got the idea a week ago and I have started working on it. I'll see if I finish it in time. Otherwise, there's always next year! Also on my list are seven UFOs that I registered in the Virtual Threads UFO Challenge. Two of the pieces just need finishing as the stitching is all done, but the other five need a bit of work to finish them. Luckily, I have all of 2014 to do that. I have also signed up for the Virtual Threads new cyber course that starts in March. I have been scanning old Youth Embroiderers' Newsletters and projects into my computer so I can use them in future newsletters. I have also been organizing my Youth goodies so it's easier to find them when needed. I have also gone out a couple of afternoons with my husband for some quality, relaxing fun. We have what we call "Video Trips". I drive to Value Villages in the area or pawn shops and while he goes inside to look for CDs and DVDs, I stitch. We talk while driving, have a thoroughly relaxing afternoon and eat dinner at a restaurant. And my co-workers thought I'd be bored and want to go back to work! Not a chance! Wonderful poster from work. SO good to hear you're enjoying the start of retirement. SO much out there to do when you don't need to go to work every day. Have fun! Congratulations, Linda. Retirement is filled with activity whether you look for it or not. Enjoy your time doing ALL those activities in a RAMPED up mode. I think your farewell card was wonderfully conceived and done for you. Congratulations on being retired. What a fun candy banner. Enjoy all the stitching time you'll now have.